A recent article over at VideoCardz has shown the Coffee Lake S CPUs which are aimed at the low TDP/low power draw SKUs which are used by businesses since there is a price premium. The T Series can now be found on Amazon allowing users to finally purchase 35 Watt Coffee Lake CPUs The full CPU line up now is packed with 23 SKUs with TDP from 35W to 95W priced from $50 USD to just under $370. These should be hitting store shelves very soon along with the other CPUs we listed last week and all in all this should be a welcome addition to the current lineup. And for those asking when the Z390 and 8 Core Coffee Lake CPUs will be released, we have absolutely NO new information on them and closest we have on word is sometime during summer. The specs above are mostly based on data provided by ASUS on their website. The list features all parts, with base clocks, TDP, L3 cache size and also a revision. The revision part is particularly interesting because some SKUs are divided into B0 and U0 steppings, but they (mostly) keep the same specs. The Coffee Lake-S series will have two variants, a 4+2 (quad core + GT2 graphics) and 6+2 (hexa core + GT2 graphics). The 4+2 variant will have a die size of 126mm2 while the 6+2 variant will have a die size of 149mm2 which is same as the Coffee Lake-X variants. We have already seen CNL-PCH block diagram which details the Coffee Lake-S and Coffee Lake-H series processors. Intel will keep support on the CNL-PCH intact. 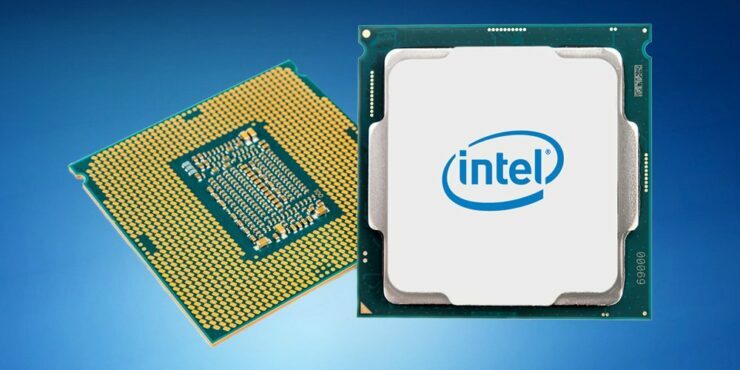 The new chipset does mean that Intel has the opportunity to change the socket and considering the unusual die structure and later support for 10nm processors, we can expect that to happen. LGA 1151 will have served two processor generations by then, Skylake and Kaby Lake.